The Montecito Motor Classic made iDriveSoCal’s list of Spectacular September of Auto Shows and it certainly earned its spot. 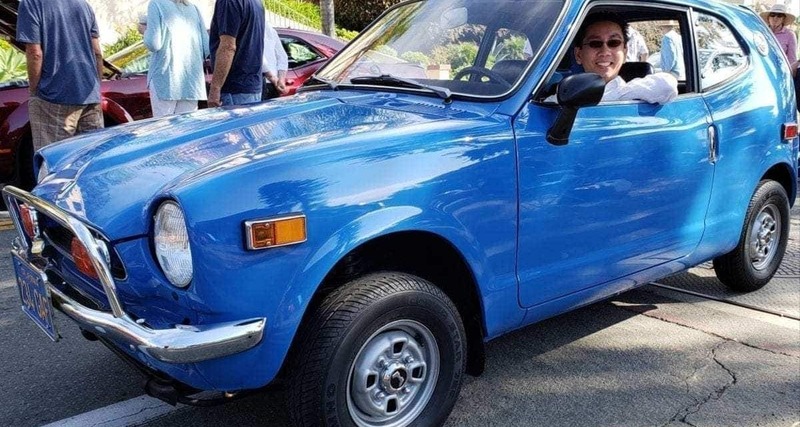 iDSC’s Professor, Clinton Quan, made his way north to the 7th Annual Santa Barbara County event and brought back a full report along with plenty of pictures of exceptional classic works-of-art on wheels. 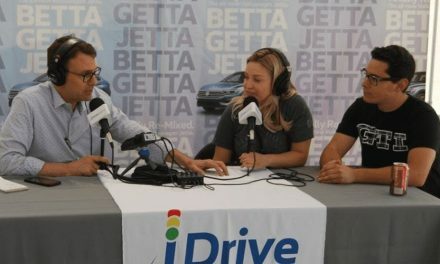 Click play below and enjoy the image gallery while hearing all the details in this iDriveSoCal Podcast. It is not a Concours, but it is, you could say, a Semi-Concours-style show. They had some absolutely stunning vehicles on display, and the weather was perfect. Tom Smith: Welcome to iDriveSoCal, the podcast, all about mobility, from the automotive capital of the United States, Southern California. Tom Smith here, with the good professor, Mr. Clinton Quan. Say hello, Clinton. Clinton Quan: Hi, Tom! Hello, Hello. Tom Smith: Today’s podcast is a continuation of the Professor’s Spectacular September of Auto Shows. Dun, dun, dun, dun! What is this, our third installment? Clinton Quan: Our second installment. Clinton Quan: Oh, yes, you’re right. Tom Smith: It’s the second planned, but third, because you had a show that wasn’t originally on the list. Tom Smith: The first was intended to be the Japanese Classic Car Show. Clinton Quan: Yes, in Long Beach. Clinton Quan: Cruz’n For Roses, in South Pasadena. Tom Smith: Cruz’n For Roses, in South Pas, exactly. Which was a little shindig that to do with the Tournament of Roses. Clinton Quan: Tournament of Roses. The Rose Parade, yes. Tom Smith: It’s a little event. A lot of people haven’t heard of it. Happens here in Southern California, every year. I think they usually have it on, what is it, about the first of the year, right? I think, generally speaking? Clinton Quan: Yes. It would be usually on New Year’s Day. Tom Smith: You’re so funny. Yeah, so, the Montecito Motor Classic was intended to originally be the second installment of the professor’s Spectacular September of Auto Shows, but now it’s the third because you had that Cruz’n For Roses event. So, take us through this one. Clinton Quan: I believe this is the seventh anniversary of the Montecito Motor Classic. Clinton Quan: Right along Coast Village Road, where all the shops and boutiques are located, and there were a number of Ferraris, Porsches and other exotic and classic automobiles. This year, the theme was Porsche, so we’ll have a number of Porsches to show on the iDriveSoCal website. Tom Smith: Lots of, lots of beautiful cars. Now, is this a judged show? Clinton Quan: It is a judged show. Clinton Quan: It is not a Concours, but it is, you could say a Semi-Concours-style show. Clinton Quan: For the different classes of vehicles. I didn’t stay for the awards ceremony, which takes place in the afternoon. Tom Smith: Okay, but there was, there were some newer automobiles, right? Didn’t I see a newer Porsche there? Clinton Quan: Yes, there are some vehicles from some of the participating Santa Barbara dealerships. Tom Smith: Ah, you’re a fan. Clinton Quan: I’m a huge fan of that. Clinton Quan: A Porsche 911, and then, there were a number of Chevy vehicles there, including the Chevy Bolt electric vehicle. Tom Smith: I’m sorry. The Chevy Bolt electric vehicle, at the Montecito Motor Classic? Clinton Quan: Well, Chevrolet is one of the sponsors, so they bring out some of their newer vehicles. Clinton Quan: They also had a Corvette. Tom Smith: Well, yeah, and that makes sense, but, I don’t know. Tom Smith: Okay. I guess, hey, you’re a sponsor and throw it in. Clinton Quan: Yeah, they’ll bring out whatever vehicles they want to promote. Clinton Quan: It’ll be interesting, many years from now, when the current electrics that we are kind of marveling at right now are the classic or are in the classic category? Tom Smith: Well, when’s that going to be? Tom Smith: 20-30 years from now? Clinton Quan: Probably, I would say, at least 30 years from now. Clinton Quan: Will be a classic someday. Clinton Quan: A classic hybrid, right? Tom Smith: I saw one of the original Tesla roadsters boogieing down the road the other day. I thought, “Huh, I don’t know that …” Because it was a school day, it was a regular workday. Because I would think, that car’s probably going to be a collector’s item. I mean, I guess all collector cars have a value that fluctuates, based on the car’s popularity, and a variety of factors. But I think that one, especially if Tesla survives? Clinton Quan: I think it could very well be. Because that was the first one, right? Tom Smith: Yeah, and if they ever recover the one that Elon launched into space, that’d probably be worth a couple bucks, too. Clinton Quan: Yeah. A couple. Tom Smith: A couple. So, no intergalactic vehicles at the Montecito Motor Classic? Clinton Quan: No. I don’t remember anything like that, yeah. Tom Smith: No moon buggies, or anything? Clinton Quan: There were some other interesting vehicles. Speaking of buggy, they had this really cool Fiat, I think it was called a Fiat Jolly, and they even had a picnic basket in the back of the vehicle, and that was definitely one of the vehicles that got a lot of attention from the spectators. One of the cute vehicles on display. Clinton Quan: Oh, no, no, no, this is a classic vehicle. Clinton Quan: Yeah. It’s a classic Fiat. Tom Smith: Did you get pictures of this? Tom Smith: Okay, I don’t think I saw those. Clinton Quan: You didn’t see that one? Clinton Quan: I got to show you the photo of that one. Clinton Quan: Yeah, that one was really, really, really cool, and then, the other one was this classic Honda. Clinton Quan: Was it a Hon … yes. Clinton Quan: Honda, and I got to sit in the vehicle. The guy who drives it, he’s six foot three, and this vehicle’s probably the size of an original Cooper. Tom Smith: Yeah, right, I know the vehicle very well. I know, I believe I know the vehicle you’re talking about. Tom Smith: At Rock Honda, they have one, that’s in perfect condition. Tom Smith: Yeah, you’ve seen that one, right? Clinton Quan: Yes, yes, I have seen it. Clinton Quan: That’s an old vehicle. Tom Smith: Yeah, sometimes they have it with a little trailer behind it, with the little Honda Mini Trail Mini Bike? Tom Smith: Which, I don’t know about you, but me growing up in the Midwest, I rode one of those things. I loved those things. Then they had the Mini, then they had the, I think, the 70. Clinton Quan: Six foot three. Tom Smith: I bet you he was comfortable in the thing, once he got in there. Clinton Quan: I think so, yes. Tom Smith: They get some crazy space on them! Clinton Quan: He was telling me that, when he gets it when he has any repairs done on it? 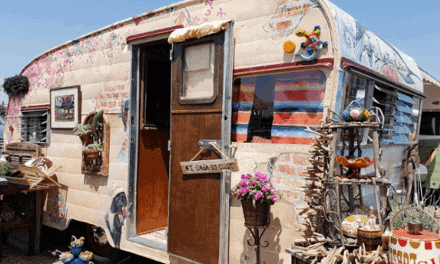 Clinton Quan: He trailers it down to Los Angeles. Because he doesn’t, he can’t, he doesn’t drive it on the freeway. Tom Smith: Okay Now, was this car, was this particular Honda, was it sold in the United States new? Or was it brought here? Clinton Quan: I believe it was sold here in the U.S. In fact, I asked them that. Clinton Quan: He told me, yeah, I think he said, it was one of the very first Hondas sold here in the U.S.
Clinton Quan: That’s a good question. I’d have to go back and check. I don’t remember. Clinton Quan: Sometime in the ’60s, I believe. Tom Smith: And you could be clicking away, answering the questions that I come up with, mid-podcast. Tom Smith: All right, so what else about the, was to be second, but actually wound up being third, installment, of the professor’s Spectacular September of Auto Shows? Dun, dun, dun, dun! Clinton Quan: Well, they had some absolutely stunning vehicles on display, and the weather was perfect. One of my favorite cars was the Ferrari 250 GT Lusso. It was a dark red, and it was just absolutely gorgeous. That’s, I would say, my very, very favorite classic Ferrari of all time. Yeah, it’s more of a, I would say, a grand touring, a grand tour, as opposed to a sports car. Tom Smith: Okay. All right. Perfect, Professor. Tom Smith: It’s the seventh annual event, obviously going to continue to go on. Is it always in that same area there? Clinton Quan: It’s always at the same location. Yeah, they shut down the street. Tom Smith: All right, and it’s a very nice little historic, kind of, stretch of road? Clinton Quan: Yeah, it’s a great place, where you can go have breakfast at one of the restaurants, or lunch, and walk around, and check out the shops. Clinton Quan: This is a free event. A lot of bring people their kids. You see a lot of animals, as well. Tom Smith: You know what? That’s what I love about the car shows. Tom Smith: They’re all family-friendly, and the animal thing, I love that, too. Clinton Quan: Yeah, so this is a great reason to take a drive up to Santa Barbara. Tom Smith: Although, how’s that PCH trip Sunday morning? Tom Smith: You went early. You got up there early. Clinton Quan: What, 7:45? And I easily made it there in less than one hour. Tom Smith: And the way back? Tom Smith: A little congested? Clinton Quan: About an hour and a half. I left a little bit later in the day. Tom Smith: The nice part about that drive back, though, even if it is a little bit congested? Clinton Quan: Especially from Santa Barbara to Ventura. You’re right along the coast. Tom Smith: Yeah. Beautiful thing. Tom Smith: All right, Professor, thank you so much. The Montecito Motor Classic, the seventh annual, we will definitely be, or send you up there for the eighth annual. That was, again, the planned to be second installment, but wound up being the third installment of the Professor’s Spectacular September of Auto Shows. Dun, dun, dun, dun. There’s more to come on that, right? We got one or two more? Clinton Quan: Well, we have the big Palos Verdes Concours d’Elegance. Clinton Quan: And this year, at the airport, out in Zamperini Field, in Torrance, and this year is a very special year, because it will be the twenty-fifth anniversary of this event, and they are celebrating, California Style. Clinton Quan: There will be some incredible Ferraris on display. Tom Smith: We look forward to that, and we look forward to the coverage on that, which I think we’ll be able to do in tandem because I think I’m going to make that show with you. Tom Smith: All right. Professor, thank you as always, and for iDriveSoCal, I am Tom Smith. Thank you, as always, for tuning in.